Budget travel does not necessarily imply independent travel. In many instances, an economy tour may ultimately yield a much more pleasant and even less expensive Egyptian holiday then an independently arranged trip. Tour operators frequently receive deep discounts from hotels and airlines as well as provide more efficient means of transportation within Egypt. Even the most experienced independent traveler may not be able to beat the cost of a value tour, particularly if a full agenda of sight seeing is required. Not infrequently in fact, packaged tours may be as little or less then the cost of airfare to Egypt if arranged independently. This is particularly true when visiting Egypt from Europe. There a number of European charter services and travel houses do a large volume of business in Egypt, allowing them to negotiate huge discounts with hotels and ground operators in Egypt, resulting in prices that are extremely affordable. As we advise in our section on independent versus packaged tours, perhaps one of the most inexpensive means of independent travel in Egypt is often a hybrid, where one accepts a relatively defined package tour but allows themselves extra time to do independent sightseeing or other activities. That way, they take advantage of inexpensive tour packages while allowing themselves independent time. Yet travelers should be advised that independent travel within Egypt is nothing to fear. One of the most unusual aspects of Egypt in regards to other tourist destinations is that Egyptians in general will go out of their way to help tourists. They are gracious hosts, even those outside of the tourism industry. Most hotel personnel, if asked, will provide a world of information and be very helpful. They will almost always be able to arrange various tours, and in the case of some chains, be able to guide and accommodate you from one end of Egypt to the other. In addition, most monuments, particularly the better known monuments, will have identification plaques and often detailed descriptions. Along with a good travel guide, one who is intent on independent travel should have little trouble in doing so. In general, everything from hotel rooms, to flight reservations, to full tours will be less expensive during the off season. The least tourist traffic to Egypt begins in the latter half of June, and continues through the middle of September. Ramadan also a busy time for Egypt, but also very fun, while the ultimate peak season starts just before Christmas and ends after New Years, due to the holidays in European countries. During this short end of year period, prices will be at their highest, and in many cases hotel and other reservations cannot be had at any price unless planed well in advance.There are other periods to consider as well. Many of these have to do with European holidays, particularly in the Autumn and at Easter, when vacations flock to Egypt. October is a busy month in Egypt, as are usually several weeks between March and the end of April. The busiest months in Egypt are usually September through May. For many, the most expensive part of a budget holiday to Egypt will be airfare. Those from Europe will pay much less, perhaps below half as much for air fare as North Americans. For example, using a normal discount booking service checking fares from London to Cairo and from New York to Cairo (using travelocity.com for departure dates in mid September), the London round trip ticket to Cairo would cost just over $500 US, while the New York ticket to Cairo would have cost almost $900.00. (I should note that these rates have not significantly changed for several years) Using a regular local travel agency would probably result in tickets costing as much as several hundred dollars more for each. However, off-line services, particularly in Europe, may yield better deals then on-line air reservation systems. This is probably due to the somewhat smaller charter services, some of which are becoming scheduled flight providers. To obtain the very least expensive airfare to Egypt one must usually go beyond the Internet, and depending on the time, effort and long distance calls required, it may not be worth it to everyone. One is really only likely to improve their ticket pricing using true air consolidators, bucket shops or charter services but these companies rarely quote on-line fares. Further, Internet searches for air consolidators will mostly yield companies claiming such, but with fares no different, or even higher then the normal on-line discount air booking companies. 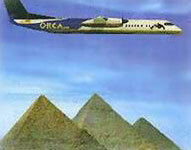 Others will have cheap fares to specific destinations, but not Egypt. Those people looking hard for discount airfare are likely to become frustrated. Most on-line discount services require a registration process, only to yield no different ticket pricing then all the others. There is a good reason for this, as most on-line services must use published rates. We would highly advise people searching out the lowest possible ticket pricing to read the FAQ on cheap airfares, consolidators and bucket shops at http://www.travel-library.com/air-travel/consolidators.html. This is an excellent reference particularly on international air fare. In general, we have found that the earlier one books a flight to Egypt, the better the fare will be (in many cases, but there are exceptions). One example of on-line air discount services which appear to yield good results is Travel Secrets at http://travelsecrets.com/. There, we find rates from New York for about $705 USD. They show no fairs, however, from the UK. For UK flights, check with airfares.co.uk. There, we found flights to Egypt from London for 295 USD plus taxes. Several others with good fares from London included FlightSearch and Lastminute.com. In Germany, Air Berlin is a good bet. They service twelve countries, with departures from a number of different cities in Germany. Many of the best airfares from specific countries can be found from on-line systems specific to those countries, rather than the large international booking systems, and it would be very difficult for us to name specific systems for each country. Hence, one must explore. It should be mentioned that at many of the budget hotels, and particularly in places like Luxor and Aswan, the management can get somewhat pushy about their tours. This is an additional source of income for them. In some instances, they present very reasonable tours at good pricing but it is really somewhat of a hit or miss venture and frankly, difficult to assess. Probably the best way to do this is, once at the hotel, ask other guests to see if they have taken any of the hotel's tours. Hotels, for the most part, are the easiest for us to provide advise about, as we have specifically stayed in or toured budget hotels with this very article in mind. Most people who wish to visit Egypt independently on a tight budget will usually wish to stay near downtown Cairo upon arrival. 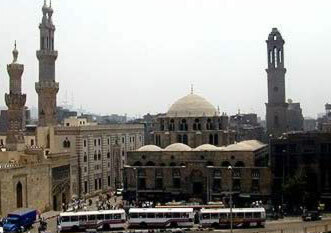 This is the area where the Egyptian Museum is located, and is close to Islamic Cairo and the Khan el-Khalili Bazaar, as well as Coptic, or old Cairo. It also probably has the best selection of budget hotels. From here, most people can make a day tour to most of the important pharaonic sites such as Giza, Saqqara, Dahshur and Memphis. All of the budget hotels we review below have air conditioning and telephones, the availability of televisions and private baths. Most have single occupancy pricing between $30and $50USD per night. Less expensive hotels may be found ranging as low as $ to $5 USD per night, but will often lack even basic comforts such as private baths, and other guests are likely to be poorer Arabs rather then tourists. Prior to checking in to such hotels, it is highly advisable to make a tour of the facilities. The Hotel Longchamps (see also review) has and continues to be one of our favorite budget hotels. It is located in Zamalek which is on an island in the Nile just across from downtown Cairo. At $36 USD per night for a single, the Hotel Longchamps can't be beat The area is nice, quiet and upscale. The hotel is bright, friendly and modern. 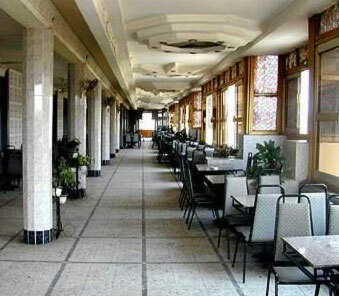 The Hotel Longchamps, like many budget hotels in Cairo, occupies only the 5th and 6th floors of the building in which it is located. In the event that this hotel is full, below it is the Horus hotel, which also appears to be nice, though not on the same standards as the Longchamps. In downtown Cairo, is the Victoria hotel, another good choice and probably our second favorite, though somewhat more costly then the Hotel Longchamps. It occupies an entire building and does have a lovely ground floor garden and reasonably priced Internet cafe. Bar at the Victoria Hotel Nearby the Victoria are two hotels which are also noteworthy, the Carlton, because it is the least expensive of all the hotels we visited, and the Windsor Hotel (also see Historical Reviews and Bar Review). The Carlton is clean, has a nice roof top garden restaurant with a good view. As for the historic Windsor hotel, we have reviewed it this month in another feature article on historical hotels in Cairo, and last month we reviewed its landmark bar. Finally, there is the Hussein hotel (review) located within the Khan el-Khalili Bazaar. Again, this hotel has all of the basic necessities, including rooms with air conditioning, private baths, telephones and televisions. It is ideal for commercial buyers who plan on spending most of their time within the Khan, and has a great view of the Khan from many of the rooms. From huge roof restaurant, it also has an excellent view of Islamic Cairo in just about all directions. One of the secrets to budget travel in Egypt is to carry plenty of small Egyptian notes, such as one pound and 50 piaster (half pound) notes. Actually, small bills sometimes seem hard to find, but many hotels, particularly the five star variety, have banks where one may load up on these. In many instances, taxi drivers and merchants who sell tourist items will claim to be unable to make change for larger bills, so being able to pay the exact amount is important. Also, as noted below, small bills will be very handy for tipping. Keep in mind that the exchange rate in Egypt has widened in recent years. One may, today, exchange US dollars for just about twice as many Egyptian pounds as they could several years ago. For information on the latest exchange rates, one may wish to visit the Egyptian American Bank. In addition to this, one may also wish to refer to our "Getting Around in Egypt" section and our "Getting Around in Cairo" feature article. Most people who travel independently to Egypt will still be better off arranging day or half day tours to most sight seeing areas. Such tours can be arranged from most hotels, or the hundreds of travel agencies scattered about downtown Cairo. Larger hotels will frequently have more than one tour operator available. While one may visit areas such as the Khan el-Khalili Bazaar, or the Citadel within Cairo very inexpensively by Taxi, the same does not hold true for tours of Saqqara and Memphis, for example, outside of Cairo. For this, companies such as Misr Travel offer half and full day tours, including guides at very reasonable prices. For example, Misr Travel Company's half day tour of Memphis and Saqqara is about $40.00, while a full day trip into the Fayoum and Lake Qarun is $65.00, and can be arranged from most hotels. Regardless of whether one takes organized tours to sightseeing areas, a taxi ride or two is inevitable. Most people will not wish to rent a car to drive, particularly in Cairo, and will probably not have the proper international drivers licenses and insurance even if they wished to. For the uninformed, taxis can be very expensive. At worst, a tourist may exit a five star hotel, climb in the nearest taxi and request a destination. Upon arrival, the tourist asks the price, and pays perhaps four or five times the Egyptian price for a similar ride. This can quickly destroy a planned budget, even for someone who can afford the five star hotel. 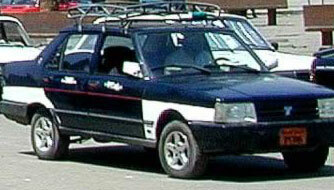 Egyptian travel sites will often advise people to negotiate the price of the Taxi in advance. This continues to be good advise for someone who wishes to rent a taxi for a day, a number of hours, or who expects the taxi to wait while one visits sightseeing areas. But for normal trips around town, this simply is not the way to get the best fares. Egyptians hail a cab without negotiating a price because they know the approximate cost for their destination. In order to hail the taxi, while facing traffic, hold the right arm somewhat down with the hand open. When a taxi pulls up, simply state your destination. If it is not a very well known location, such as an business office, you may wish to have the address written in Arabic (supplied by your hotel, for example). The driver will indicate if he wishes to take you to that location. Men should usually sit in the front passenger seat, while women normally sit in the back of the taxi, though these standards are becoming more lax. Upon arrival, simply pay the amount required for the trip. The table below supplies typical prices for typical destinations. There may even be a small tip involved if the taxi driver is particularly courteous, informative or funny, but the amount is paid as a lump sum. Hence, it is important for tourists to have an idea of what the taxi driver expects for trips to various parts of the city. Even so, one might find the taxi driver arguing the price if the tourist appears overly wealthy. For this reason, it is often best to walk a short distance from a five star hotel prior to hailing a cab. There does not seem to be the same problem involved with three and four star hotels. However, other tricks include making camera equipment as inconspicuous as possible and not engaging the taxi driver with tourism questions. Invariably, the taxi driver will wish to become your tour guide. In fact, one trick we have used is to have the hotel write the destination in Arabic, handing this to the taxi driver, and then saying little if anything while in route. On the other hand, taxi drivers who speak the language of the tourist can be helpful, and will try to be. Allowing the taxi driver to provide information should result in a small increase in the fare from the prices outlined below. 1: Nile Hilton to the Citadel - 20 L.E. 2: Citadel to Khan el-Khalili - 12 to 16 L.E. 3: Nile Hilton to the Khan el-Khalili 16 L.E. 4: Nile Hilton to Heliopolis 30 to 40 L.E. 4: Nile Hilton to Airport with bag handling 80 L.E. 5: Nile Hilton to Old Cairo (Coptic Cairo) 24 L.E. 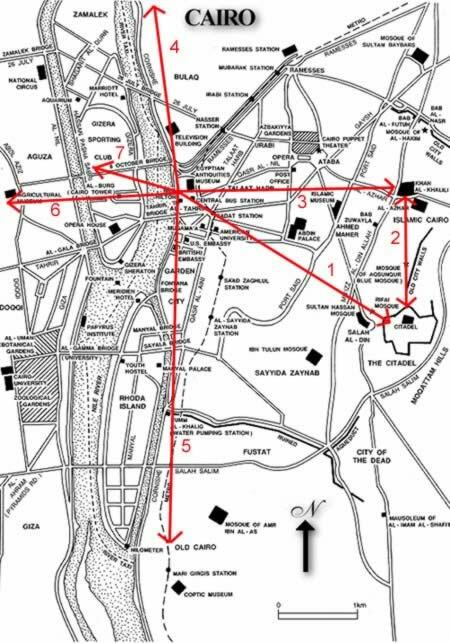 6: Nile Hilton to the Giza Pyramids 30 to 60 L.E. 7: Nile Hilton to Zamalek 10 to 14 L.E. The reason for the difference in fares depends on traffic and traffic jams. For example, if the taxi trip is taken during rush hour and takes twice the normal amount of time, then the taxi driver should be paid more. Also, these rates are for one passenger. The amount should be increased by a modest amount for additional passengers. For example, a trip which would cost 5 L.E. for one person should probably be increased to 7 L.E. for two, or perhaps 8 or 9 L.E. for three people. Keep in mind the exchange rate. For example, a trip which costs 10 Egyptian pounds (L.E.) is about $1.63 USD. You should consider a lower limit for short trips. For example, a trip from the Nile Hilton to Garden City, while a short trip, should still run probably five Egyptian pounds. Below this amount, it is hardly worth the taxi driver's time. Most of these prices are above that which an Egyptian will pay for good reasons. The average Egyptian income is less then that of most tourists, and it should not be the aim of tourists to pay the Egyptian rate. Taxi drivers do not get rich, few own their own cabs, and most must pay a daily fee to the owner which is the same regardless of how good a day the driver had. When paying for the taxi, exit first, pay the taxi driver through the window, and walk away. This is really what the driver expects. If he suspects that you are a wealthy tourist, he may put up some argument, but simply avoid this and keep walking. However, one must remember to carry plenty of small Egyptian notes. In order for our suggestions on paying taxi drivers to work, one must pay the exact amount. Giving the taxi driver a larger note and expecting change will promote a discussion as to the amount of the fare. It is really not recommended to attempt to hire a taxi for a day, or even for several hours. Taxis are plentiful in Cairo, and it is much better usually to simply take a taxi to a destination, and then find another taxi when you are ready to leave. However, if you decide to hire a taxi to tour outlying areas such as Saqqara and Dahshur rather then taking a more economical organized day tour, expect to pay between 150 and 200 L.E. Meals at five star hotels will likely be the most expensive way to eat in Egypt, though we do not mean to be critical, as this is perhaps true throughout the world. After all, these restaurants are sometimes very good, at least from the standpoint of facilities, and one may expect the food to be consistently fair. Yet a breakfast at a five star hotel which costs 50 L.E may be free at many three or four star hotels which include the cost of breakfast in the price of the room. Lunch and dinner in these hotels may also be somewhat reasonable, and, given the cost of searching around for alternatives, may be the best bet. However, keep in mind that during the last several years, a vivid restaurant scene has emerged outside of the five-star hotels, so keep an eye out for some fine new establishments. At any rate, we cannot really recommend eating the fare of street vendors, of which there are many, even though this might make for a very economical meal. Probably the best prices can be found in Egyptian family style restaurants off the beaten tourist track. Restaurants such as the Al Tekkia which we reviewed are clean and reasonably priced, and we must encourage our readers to keep an eye on our restaurant reviews for future additions. Other plentiful options include traditional fast food establishments where a western style hamburger may cost in the range of $3.00 to $4.00 USD. The simple rule is, find out how much before making the call, any call. For many hotels in Egypt, even local calls will have a charge, and long distance charges back home may vary extensively between different hotels. For three or four star hotels, most of the time everything, including food, drinks in the hotel bar, taxis, will be less expensive than a five star hotel, but telephone charges may be an exception. Some of the budget hotels lack the new, direct dial international phone systems. In fact, of all the three and four star hotels we have visited, only the Hotel Longchamps currently has a modern phone system. Hence, making a direct call to Europe or the Americas may cost two or three times the normal direct dial rate. These prices, however, have been improved due to the exchange rate. Today, international phone calls are still expensive from Egypt, but not as bad as before, particularly if one uses certain available devices. These include the telephone cards from Telecard Egypt, available in various shops throughout Egypt. Another is a card from Egypt Telecom, which is available only in Egypt Telecom centers. Another good solution is the MENATEL public telephones, which are everywhere in the country For these, one may buy a green telephone card. Of course, there are also many, many internet cafes where one will find set ups for making free (for the cost of an internet session, which is usually very reasonable outside of five star hotels) internet calls. All of these methods will certainly result in much lower pricing for international calls. However, many long distance carriers have local access numbers that can be dialed. These include AT&T and Sprint among others. These vary and the number is subject to change, so we will not attempt to list the access numbers here. Most hotels will have these numbers and will supply them if asked. If not, call one of the five star hotels such as a Sheraton and ask. When making these calls, one must either have a calling card with the company, or make a collect call. However, these lines are frequently busy for any specific carrier, so carrying multiple calling cards is not a bad idea. In fact, most of these lines are busy throughout the day. If international phone communications is important, we highly recommend finding a hotel with a direct dial international phone system. Hotels with direct dial international phone systems are fairly reasonable, though one must remember that calling anywhere from Egypt is inherently costly. A European vodka shot will probably cost more like 20 L.E., while a shot of Jack Daniels, if they have it, will run as high as 50 L.E. These prices may very somewhat, but to say the least, if one likes American or European brands, drinking can get expensive. The solution to this is to either bring it in with you, or obtain it from the duty free shop upon entry. One may bring up to two liters of alcoholic beverages into the country. While this may sound like additional luggage, the empty space will often be used to carry souvenirs back. However, prices at the airport duty free shop are reasonable and up to four litters may be purchased upon entry to the country. Prices are often about what one would pay at home. Also, keep in mind that Egypt Air, a frequent carrier of tour groups will not serve alcoholic drinks in-flight (though they occasionally provide complementary wine prior to boarding. However, they do allow people to carry aboard reasonable amounts of alcohol for self service (BYOB!). Tipping, what is known as Baksheesh, or Ba'Sheesh, is common, expected and not an invention of Egypt. However, there are limits. One need not tip for a service that has not been rendered even if asked. For taxis in particular, the price discussed above is usually paid without a tip, unless the taxi driver has rendered a service you find to be specifically helpful. As with hotels throughout the world, porters and others should be tipped when bags are carried or room service is delivered. Egyptians are by nature courteous and gracious hosts. Asking a stranger on the street for directions does not warrant a tip, and in most cases, the stranger would probably be offended. Many, including taxi drivers, may wish to point you out to a good shop. Most will then receive a commission from any sale made, so here again, a tip is not warranted. Baksheesh is a great excuse to carry a few one pound notes (Egyptian) at all times. One pound is worth less then 30 cents USD, so keep this in mind. Simply put, and not unlike most other tourist destinations, the further one can get away from shopping areas which cater to tourists, usually the better the shopping. Hotel shops are probably the worst, followed by independent shops in close proximity to the hotels, particularly the five star hotels. Other places to avoid include the peddlers and small shops near tourist attractions such as the Pyramids at Giza. Cokes, batteries, water and similar items can usually be purchased without the hassle of negotiation and much cheaper in supermarkets. But of course, many items which the tourist will wish to purchase such as gold cartouches, Egyptian theme clothing or T-shirts and statues replicas are souvenirs by definition and must be purchased, for the most part, from a market that caters to tourists. Places like the Khan el-Khalili Bazaar continue to be some of the best places to buy souvenirs. However, it is often best to walk away from the center of things, and find some of the less frequented shops just outside of the Khan. In addition, a considerable aptitude for negotiation will unquestionably result in lower prices in areas which cater to tourists, such as the Khan and tourist shops around the pyramids and Coptic, or old Cairo. Most everywhere else such as grocery stores, shopping malls and the shopping area downtown, prices are fixed, and not really negotiable at all. In some of the shops, one might make a friendly effort to secure a small discount, but a strong attempt at negotiation will probably offend the salesperson. In fact, negotiation seems to be becoming less of an issue even in places like the Khan el-Khalili. When negotiating, show only a slight interest in the item and then, work the price down. At that point, the price will probably be only three to four times that which an Egyptian would pay. Then tell the vendor that you will thank about it, take a longing look at the item, and begin to drift away ... not too fast. With luck, the price will come down further. But stop. Even as you walk away, the price may come down more, but don't buy from the first vendor, at least not yet. In order to really scout out the best price, no matter how low this first vendor goes, try a few more vendors repeating this to really get a feel for the best price. There is usually no problem in returning to the original merchant and accepting his lowest price. Now it is important to keep in mind that one can be tricked. For example, if one negotiates the price down on a mother-of-pearl box, the merchant may end up packaging up one that has more plastic pieces. Also, between stores, one may get a better price from one than another but receive in return an inferior product. Hence, one must have some idea about the items available and how to tell what constitutes a quality object. For this type of information, see our section on shopping. Keep in mind one other facet of shopping in Egypt. Almost every tour guide and taxi driver maintains an agreement with a number of shops for commission. This is not an exception, but rather an expected source of income for people in these trades. Of course you will find others who will also insist on leading you to "the best perfume bottle" factory, a better hotel or a less expensive restaurant. Just remember that all of these people have a profit motive. Independent travelers in Egypt have any number of ways to get around the country. Most major, and even many minor destinations have airports, and even though the airlines available in Egypt are sparse, airfare is nevertheless not outrageous. There seem to be number of other small airlines in Egypt that come and go. Most do not have a web site at this time, and those that do have no on-line reservation systems. However, Orca Air seems to be one of the more aggressive of the small internal airlines. They have a web address at www.orca-air.com. In general, their prices for internal Egyptian destinations are from 20 to 25% less then Egypt Air, the national carrier. Trains in Egypt, in general, are comfortable, particularly the first class variety. They are usually not the cheapest fare between destinations. That distinction appears to go bus travel. While the sleeper trains seem expensive, this may be somewhat deceptive. Traveling at night, one makes the trip, misses no real "Tour Time", and avoids the cost of a hotel room. All pricing and other information is far departure from Cairo, and are for one way only. Prices are in US Dollars and may change.Luckily, these days one can reserve a train fare on-line through the Arab Travel Agency. Regular trains to Luxor (non sleeper trains) leave usually in the morning or late evening, as do trains to Aswan. The duration of this trip is anywhere from about 8 1/2 to 11 hours depending on the train. Tickets to Luxor are $17.27 for first class and $10.37 for second class. The regular trains to Aswan are $21.00 for first class and $12.09 for second class. This trip can take from 14 1/2 to 18 hours, depending on the speed of the train. We should also mention El-Gouna Transport Company, which provides modern air-conditioned busses from Cairo to El-Gouna and Hurghada. These depart and arrive from in front of the Maspero Mall, very near the Ramesses Hilton Hotel. The tickets currently cost about 50 Egyptian Pounds, and include coffee or tea while on board. It should be pointed out that Alexandria and Cairo are very different then Luxor and Aswan in one important aspect. Alexandria and Cairo are large cosmopolitan areas. Neither city's real focus is Tourism. On the other hand, Luxor and Aswan are very geared to the tourist trade, and it is somewhat more difficult to find bargain pricing in these areas, though there are some good deals, particularly in Luxor. Yet Luxor and Aswan are much smaller, more intimate cities then either Cairo or Alexandria. Transport is often not as necessary as in the larger cities, and one will find all manner of tourist walking along the streets anywhere one goes in Luxor and Aswan. Actually, there are some great hotel values, particularly in Luxor and Aswan, and some are very reasonable indeed. Let's take a look as some of the very best budget hotels in Egypt.Hotels in this review will range in price from as low as about $15.00 to $50.00 per night (USD). Most are in the range of $20.00 to $35.00. One of the least expensive hotels that we can recommend, and about the only two star hotel we have ever reviewed is Luxor's Nefertiti Hotel. This hotel is run by a young man with modern ideas about how to treat his guests. Hence, he has received a considerable following among the young budget minded travelers. Perhaps even more importantly, he can arrange some very reasonable tours, not only about Luxor but also to some of the desert oasis. This hotel appears to, in every respect, be considerable value for its cost. The Atlas Hotel is not bad, considering its very low price, considering that some rooms have air conditioning and all have private baths. Located on Sharia Ahmed Orabi, it is usually not full. Another is the Sherif Hotel, which is run by an English teacher and has 15 rooms including some with private baths and air conditioning. The Philippe hotel is another excellent hotel for budget travelers. It is so popular that reservations should be made well in advance. It has a nice swimming pool, as well as a restaurant. Rooms are well air conditioned, have TVs, mini-fridges and private baths. Some rooms also have terraces. It also has a pleasant roof garden with a bar. The hotel has a new addition, with rooms that are better than in the old section. This hotel is very clean, and has a nice, friendly staff. It is located in the heart of Luxor. Another hotel, very popular with the British and one of our favorites, is the St. Joseph Hotel. 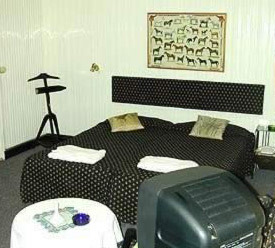 It is one of the cleanest of the budget hotels, has a swimming pool as well as a basement bar that has ended up being one of the hot spots in town. Rooms are air conditioned, have TVs, phones, full private baths and large terraces. 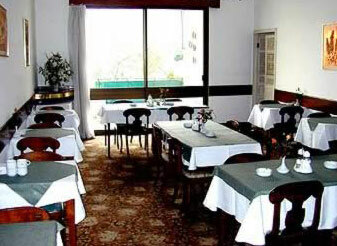 There is also a restaurant with good, inexpensive food. The Eighth floor terrace has an excellent view. We could really go on and on about hotels in Luxor, but must conclude this topic with one last favorite, the El Gezira Hotel Phone +20 95 310-034 Fax: +20 95 310-034. This is one of the least expensive but has lots of atmosphere. It is small, but has a pleasant roof top restaurant and bar. Rooms are comfortable and clean though Spartan. Some rooms are air conditions, while others have ceiling fans, and all have private baths. This hotel is on the West Bank. There are certainly other good choices for budget accommodations in Luxor. Just to mention one other hotel, the Emilio Hotel is somewhat pricey for a budget hotel, but has lots of facilities and amenities. In the budget range, the Keylany Hotel is probably the best hotel in Aswan. It is small, with only 21 rooms but they are clean and there is a choice between air conditioned rooms and those with ceiling fans. There are also private baths, and breakfast is included in the price. 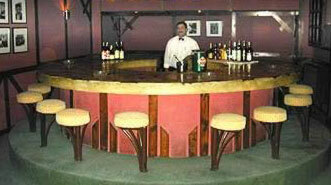 The Nubian Oasis Hotel has been for some time a popular spot for budget travelers to Aswan. Here, the rooms are clean and have air conditioning and private baths. There is also a large lounge area and a roof garden where beer is served. The Amun is situated on its own island, which is beautiful and peaceful with well designed gardens and a view of Elephantine Island. This is a small, Club Med operation, and some would say the hotel needs an additional star. It has a huge swimming pool facing town, restaurant perched above rocks and the river, bar and steam room. Some of the 19th century structure it was build around remains. Rooms have private baths (with showers only) and balconies. The service is great and friendly, the food is excellent, and if you can afford a few extra dollars, this is the place to stay. A very viable alternative for the budget or independent traveler is often the hotel supplied tours. Be careful with budget hotels, as many of these will supply local tours. Check around some for pricing.Misr Travel will often be located at one of the hotels, and will supply good consistent local tours. Consider Alexandria much the same way you might Cairo when it comes to taxis. This is a larger town, but we have also found that general prices seem somewhat higher, and likewise one might increase the fees we advise in Part I by 20% or so. The remainder of Egypt where tourists are likely to travel consists of the Fayoum and desert oasis, the Red Sea cost and the Sinai. Of these, the Fayoum, which is not really a true oasis, is most likely to interest pharaonic sight seers, but will usually consist of a day trip. Such a tour is likely to be least expensive by arranging a it from a Cairo hotel, though it is possible to travel there via bus. Unfortunately, the impressive monuments of this district are spread out, so for most, the only practical means of exploring the area will be within a tour. Many companies offer short tours such as this, but Misr Travel, the national travel company of Egypt, is well known for their day and 1/2 day agendas. These tours are normally very reasonable. One problem with actually staying in the Fayoum and desert oasis is that tourists are a captive audience. A variety of inexpensive restaurants and the scope of nightlife found in many other areas of Egypt do not really exist. Certainly there are a hand full of local eateries in a city such as Medinet El-Fayoum, but for the most part, tourists who stay overnight in these areas must rely on the hotel for both food and entertainment. While a hotel such as the Auberge du Lac in the Fayoum may have a variety of nightly entertainment, it is probably the only hotel in these areas to do so. On the other hand, the Fayoum and particularly the desert oasis have not experienced the tourism boom that has driven up hotel prices in the primary tourism cities of Egypt, so prices are usually reasonable, and in some cases, camping is a viable alternative. For the Fayoum and Desert Oasis, we have worked hard just to include a few hotels in our databases, and with the possible exception of the Auberge du Lac, just about all of them would be considered as budget facilities, though some are very nice regardless of their pricing. For the Red Sea and Sinai, the question of budget travel is usually more a question of where one goes, as opposed to finding budget facilities in all the destinations. For Example, situated within a few miles of each other on the Red Sea mainland coast is El Gouna, Hurghada and Soma Bay. One can pretty much forget budget travel to the expanding resort city of El Gouna north of Hurghada, and to the quieter, limited facilities of Soma Bay. Both areas are well worth a visit, but were not really created with the idea of budget travel in mind. Hurghada on the other hand seems to have been developed specifically for the budget traveler. People in North America have a tendency to think of Hurghada as a less expensive Red Sea scuba diving headquarters then Sharm el-Sheikh in the Sinai. But for many Europeans, particularly from countries that lack warm beaches, Hurghada represents the least expensive sun and fun beach and party resort available to them. Whereas in the rest of Egypt, three and four star hotels tend to be older facilities that perhaps once had higher ratings, in Hurghada, new hotels are often specifically built with these rating in mind. Actually, all along the Red Sea coast, for the most part, room rates for good accommodations are at prices one would often pay for meager accommodations in places like Cairo and Luxor. For example, the Jasmine Village Hotel in Hurghada has its own beach, swimming pool, and many other amenities and for a single room, is under $50.00 USD. Other good hotels less expensive than this include the Three Corner facilities, with pricing for single rooms in the mid $30.00. But there are many good hotels in the $20 to $30 range. These include, but are not limited to, such hotels as the Sea Horse Hotel and Sindbad Inn. At one point the Sinai was considered to be a fairly exclusive destination, but the popularity of Sharm el-Sheikh and a few other destinations there have inspired a few new hotels that do fall somewhat into the budget category. On the less expensive end is the Pigeon House at Na'ama Bay and the Safety Land Camp, which are both very reasonable for Sharm el-Sheikh with rooms under $20.00 USD. After that, the prices begin to rise rapidly and most other budget facilities or in excess of $30.00. These include hotels such as the Palermo Resort, which has a nice pool and a section of the beach, the Tropicana Inn and the Sandy Hotel, also with a pool and good air conditioning. Also in the area is the Oasis hotel, with good air. Once outside of either the general area of Hurghada on the Red Sea coast, or Sharm el-Sheikh in the Sinai, one is likely to run into camps and beach huts that can be very reasonable, but unless one is a diver, there is little else to do in such locals. In addition, a number of hotels are very reasonable. Just to mention several of these, in Dahab in the Sinai, Club Red and the Christina Residence Hotel both have reasonable rooms under $20.00. Around Nuweiba in the Sinai, there is the City Beach Village where you can pitch a tent for less then $5.00 USD, or opt to stay in a comfortable room for under $20.00. However, our favorite lodging in Nuweiba has to be the Habiba Hotel on the beach, which seems to serve a primarily young European crowd.